Separett U is to prevent odours coming back up from the greywater system. 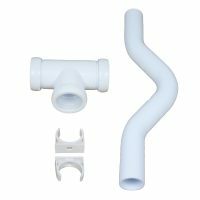 You only need this product if you are connecting to a drainage system without an air break. It is the same in function to a traditional U bend but the Separett U bend is shallower so urine crystals (struvite) is less likely to build up into a blockage.